Application Security has become a core requirement for any organization’s testing strategy. Application security challenges need to be addressed efficiently and effectively, thus all applications and software across organizations portfolio needs to be tested. To reduce the security costs, security testing should be done as early as possible in the SDLC process. What do you mean by Application Security Testing? 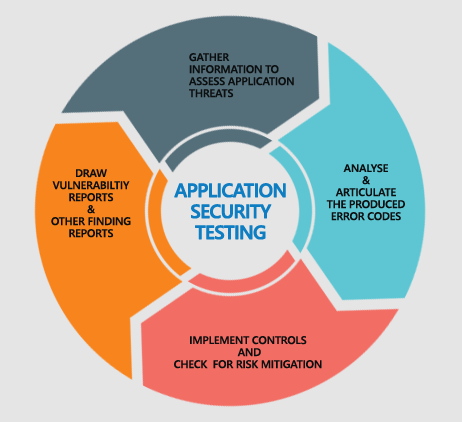 Application security testing is a strategy to assess application vulnerabilities that may compromise the confidentiality, integrity and availability of critical or sensitive data while evaluating the effectiveness of controls implemented, to ensure the application and organizations are not prone to application-based risks and mitigate their potential impact. *Gartner has noted that almost 75 percent of attacks are tunneling through web applications. Cigniti’s unique Application Security Testing Services not just helps you in weeding out risks from your application but also ensures your applications meet regulatory and compliance requirements. Leading businesses of North America rely on our penetration testing services to make their applications threat-proof. We have worked with leading large and small businesses and helped them build a safe and secure software for their users. A few of them are listed below.